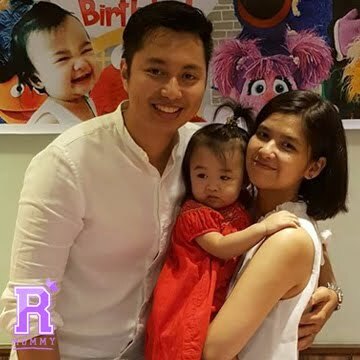 Rookie Mommy Ph Joins Mommy Mundo's #MomManifesto! I have always been a follower of Mommy Mundo from the day I found out that I am pregnant with my first child. Mommy Mundo helped me a lot especially from the things I needed to prepare myself for while in transition to this wonderful journey called motherhood. And it's not always easy. 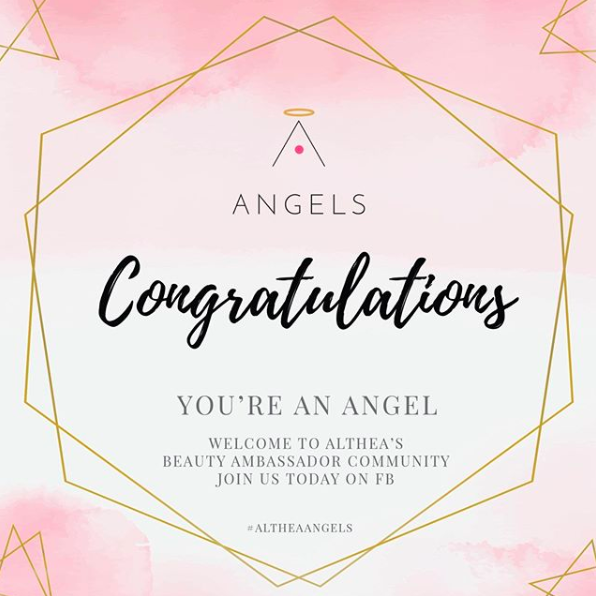 I've been missing out on all of their awesome activities because I had a hard time travelling during my first few weeks of pregnancy which is why I am so thrilled that they are having an online campaign for moms and soon-to-be moms just like me! Yay! 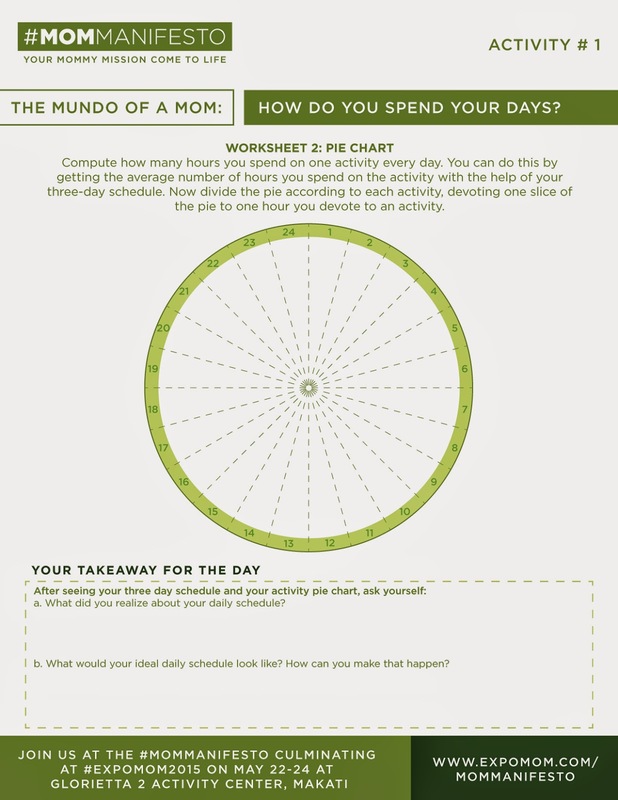 "Mommy Mundo’s Mom Manifesto campaign hopes to give moms a fresh perspective on life by helping them focus on the important and discover their sense of purpose. Through a series of online workshops, each needing only 15 minutes to complete, moms are given the tools to gain a more insightful knowledge of themselves—their daily routine, family history, parenting style, goals, and interests." 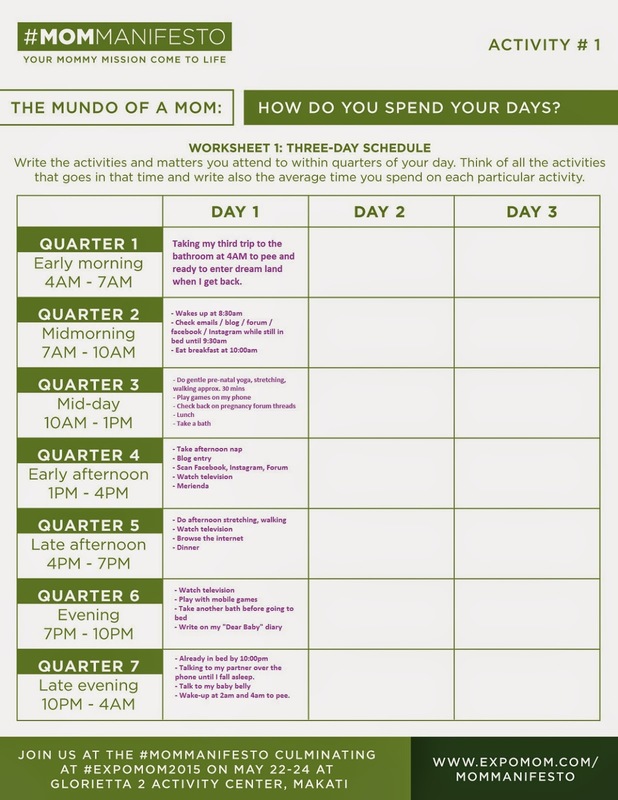 I got excited and finally thought of something fun to do where I can focus my time by joining the #MomManifesto. Knowing how much of a waste my every day is, I decided to participate. I immediately downloaded their worksheet and filled-out the form using just my laptop. Sadly, I don't have printer available at the moment. ....so this is how my every day goes? I didn't realize it up until now. I am 100% committed to finishing this online activity and I encourage you to give it a try as well! 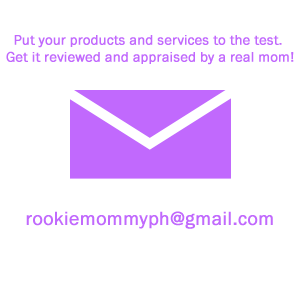 Let's support other moms, expectant mom, and rookie moms out there to join and be part of #MomManifesto. Know more about Mommy Mundo's #MomManifesto Online Campaign by visiting their website at www.expomom.com/mommanifesto or you can also check out their Facebook page.